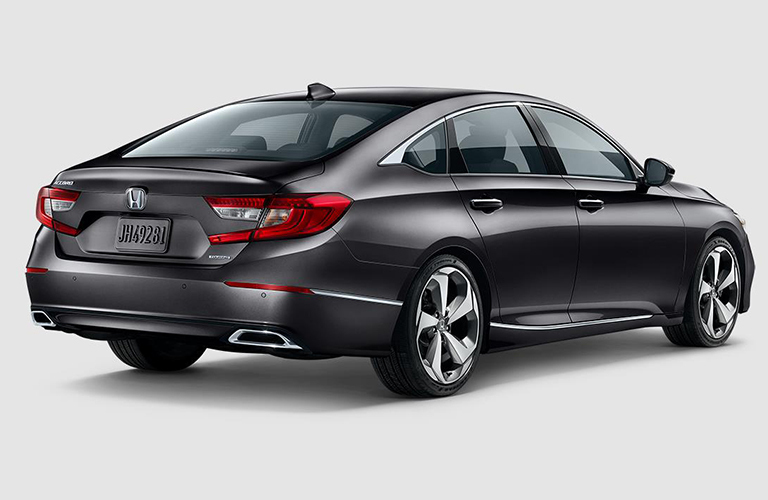 Widely considered leaders in the midsize sedan class, the Accord and Camry will likely make the “must test-drive” list of any new car buyer shopping in the segment. Of course, we realize that you probably don’t have time to go around test driving every single one of your options, so we are here to help. We’ve compiled some of the key facts and figures you’ll need to know before getting behind the wheel and have compared the 2018 Honda Accord Touring 2.0T vs the 2018 Toyota Camry XSE V6 down below. These two models are the top trim levels for the Accord and Camry. Therefore, you would expect them to truly deliver a top-class experience. The Accord Touring 2.0T does this in part with standard Android Auto and Apple CarPlay. The Camry, on the other hand, doesn’t even offer these state of the art infotainment platforms. Moreover, the Accord Touring 2.0T has cooled front seats, driver memory seats, one-touch window switches and fog lights… all equipment that the Camry XSE V6 does not have. Of course, it is rare for a vehicle to be perfect, but you would expect the Camry to make up for some of the missing features above. For example, you might expect superior interior space. We don’t mean to disappoint you if you’re a Toyota fan, but the Accord Touring 2.0T has an edge there too with 16.7 cu ft for cargo and 103 cu ft for passengers. By comparison, the Camry XSE V6 offers 99 cu ft for passengers and also has inferior front and rear legroom. This almost places it closer to the compact sedan segment than the midsize sedan class. There are only so many differences we can point out here, but as you can see from our comparison between the 2018 Honda Accord Touring 2.0T and 2018 Toyota Camry XSE V6, the Accord has many of the features you’re probably desiring in a midsize car. To learn more, contact us at Hilton Head Honda. This entry was posted on Thursday, December 28th, 2017 at 6:04 pm	and is filed under Honda Accord, Vehicle Comparisons. You can follow any responses to this entry through the RSS 2.0 feed. You can skip to the end and leave a response. Pinging is currently not allowed.